This year marks both the centenary of the Armistice in November 1918 and of the passing of the Representation of the People Act, allowing some women the right to vote for the first time. 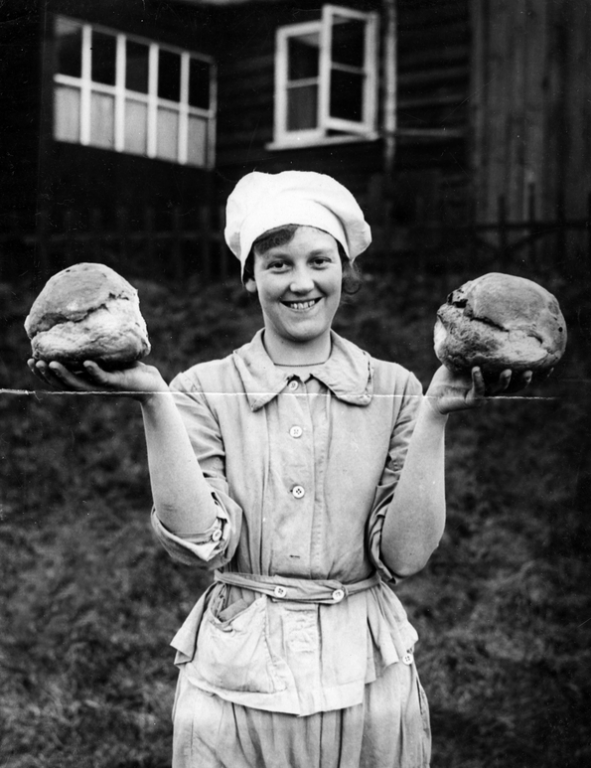 Here we take a look at just a few of the remarkable images from our archives showing women at work on the Home Front and beyond, which reveal the essential role women played in the war effort. The lives of many women changed beyond measure during the years of the First World War. 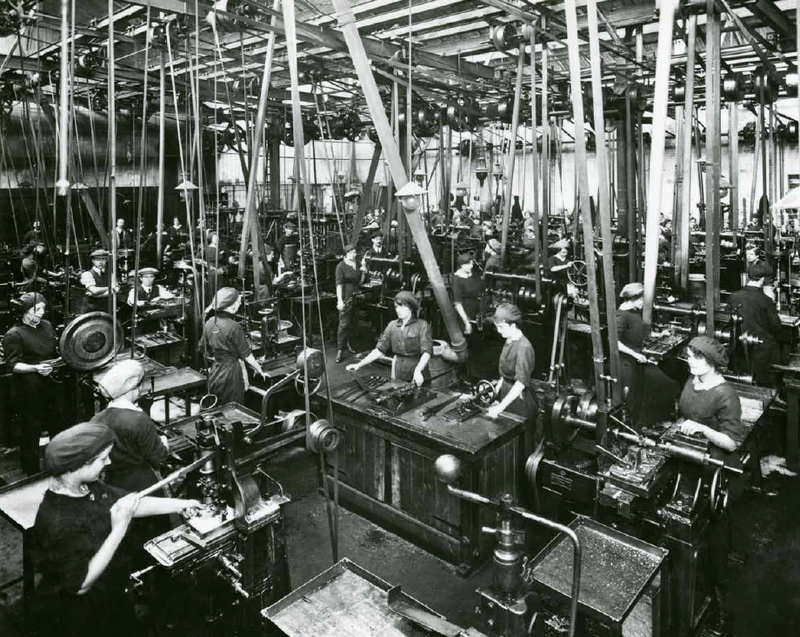 As conscription came into force, labour shortages in key industries were intensified allowing for a number of ‘firsts’ for women. Among these were opportunities for women to join areas of the police and transport industry, as well as work in munitions factories and later on in the armed forces, through the Women’s Army Auxiliary Corps, Women’s Royal Naval Service and Women’s Royal Air Force. 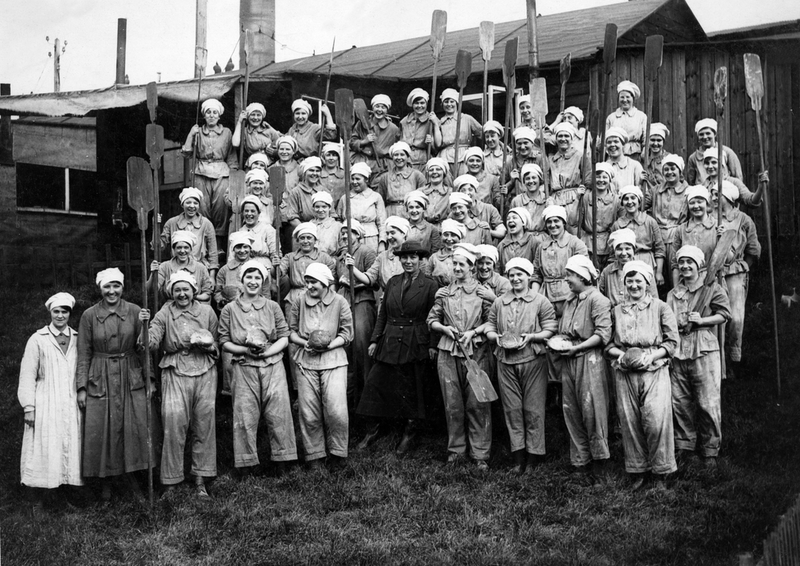 One of the largest recruiters for women in the period was the Women’s Land Army, by the end of the war more than 23,000 women worked full time on the land. Many women embraced the opportunities that emerged beyond traditional roles as homemakers and in domestic service. As the First World War drew to a close, many believed that the key role women had played would make it impossible to avert female suffrage. By February 1918, nine months before the armistice, the Representation of the People Act was passed allowing some women the right to vote for the first time. It was not until the Equal Franchise Act of 1928 that all women attained the same voting rights as men. In 1918, the factory employed nearly 10,000 people, 4,000 of whom were women, and increasing production was vital as the war reached its climax. 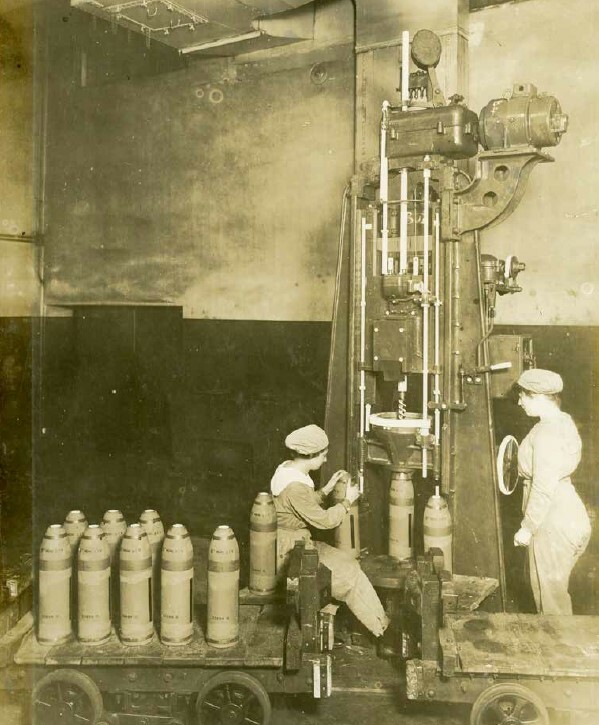 The greater labour saving was the development of an extruder machine used for the first filling of the shells. One such machine operated by two women freed up six men whilst also increasing output by 50%. 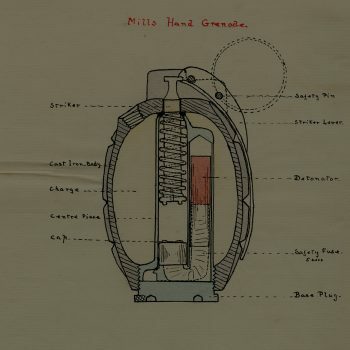 On 15 June 1918, a record 46,725 shells were filled in a 24-hour period. Due to food shortages brought on by submarine warfare, staples such as bread and flour were very hard to get in wartime Britain. In 1917, the government introduced a voluntary rationing scheme which was endorsed by the Royal Family. 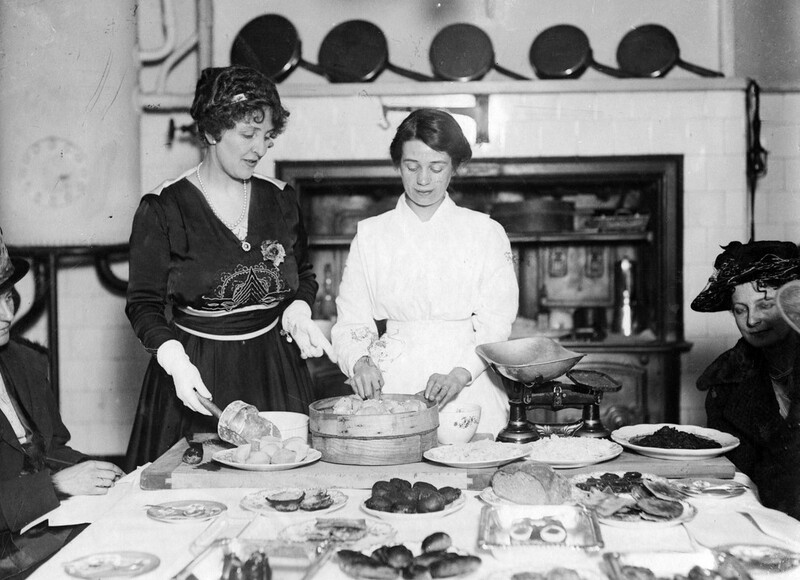 The Food Controller encouraged local authorities to set up National Kitchens and Restaurants, the women who volunteered to run the kitchens described their work as ‘canteening’. By late 1918 there were over 360 kitchens nationwide. 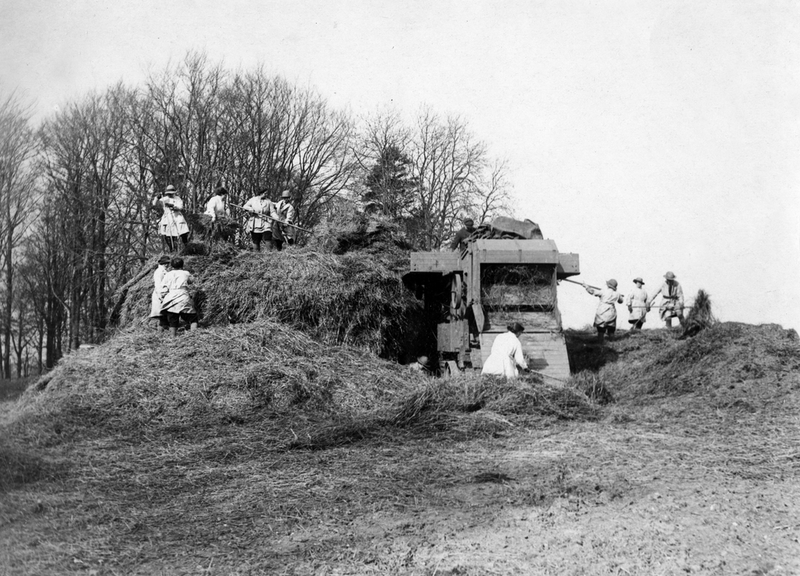 These two images show the Women’s Land Army (WLA) at work. Formed in 1917, the WLA marked the first time that a group of women came together in a national organisation for farm work. It was part of a broader effort to mobilise a domestic force of female workers, but was tasked specifically with replacing the male agricultural labourers enlisted or conscripted into Britain’s armed forces. 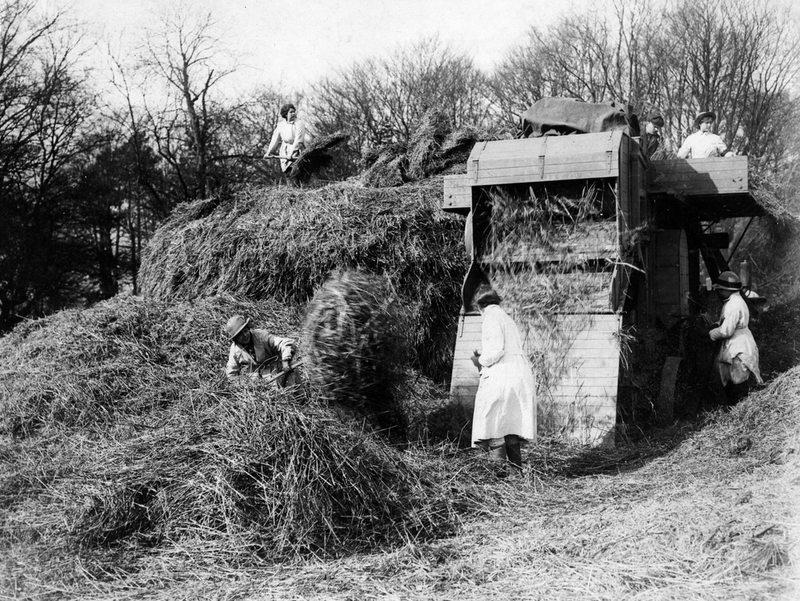 Its principle aim was to bring urban women into the countryside, although placing women on British farms not only risked local prejudices but also came up against regional variations in farming practices. ‘The WAACs can cook much better than the old Army cooks used to, so we shall miss them when we go up the line’. The promotion of a Land Army culture offered a solution to the various social, economic and gender struggles experienced by women before and during the war. An advert for Women Power Insurance in The Landswoman (July 1918) even claimed that ‘women power’ throughout the British Empire stood out as ‘the most wonderful feature of war’. The work available in the WAAC was varied and reasonably paid. Recruiting posters offered ‘Work at home and abroad with the forces – good wages, uniform, quarters, rations’. Jobs were available in catering, storekeeping, maintenance and administration, with training opportunities in such broad areas as driving, gardening, shoemaking, painting, photography and welding. Founded in the eighteenth century as a manufacturer of swords, Wilkinson Sword produced more than two million bayonets during the war. Despite all infantrymen being issued with bayonets as standard, most bayonets were unsuitable for the warfare seen on the Western Front. 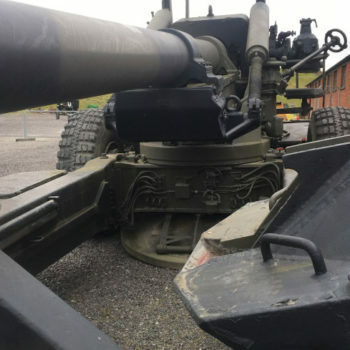 It was only in the close confines of trench warfare that men came face to face with the enemy, at which point a weapon of this type became more of a hindrance. All of these photographs appear in our latest publication ‘Stumbling Towards Victory: The Final Year of the Great War’, which is now available to pre-order our online shop. 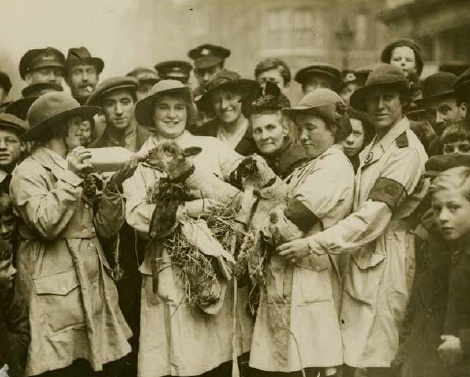 Published to coincide with the First World War centenary commemorations, ‘Stumbling Towards Victory’ contains photographs – many previously unpublished – from the museum archives, all of which were taken in the last twelve months of the war. 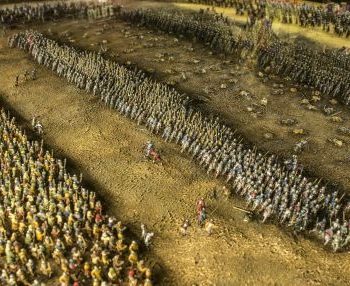 All images within this blog post are copyright of the Board of Trustees of the Armouries. Our image collection can be searched online. If you would like to use any of these images please contact our Image Licensing team, as we would love to hear about your project.